Galliford Try has a comprehensive behavioural safety programme called ‘Challenging Beliefs, Affecting Behaviour’. This safety initiative is made up of various components forming a ‘toolkit’, of which the entire workforce is trained upon and is firmly embedded within our company safety culture, with each site having their own designated Site Champion. 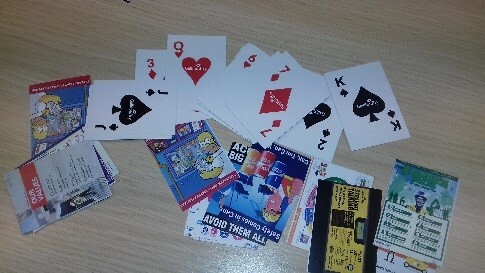 A request was received by Galliford Try from one of our site labourers for a deck of playing cards for recreational use in the canteen area during periods of rest. The project team were happy to oblige the request, however it was debated as to whether the benefits could be two-fold – teambuilding for our workforce whilst conveying subliminal safety messages. 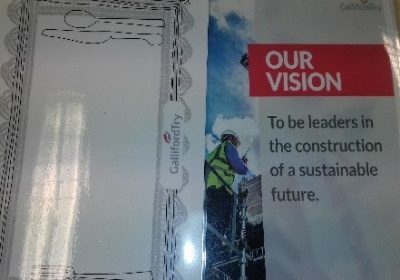 Galliford Try designed a deck of playing cards with the reverse of each card comprising an image-led safety message, focused around the messages that our behavioural safety programme puts across. Also including occupational health, mental health awareness and industry campaign messages (stop smoking, Cancer Research, etc). 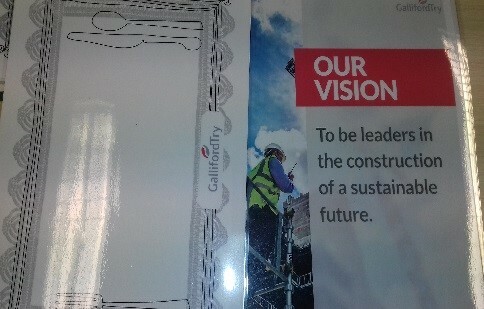 Within the canteen area, we also provided for the workforce, double-sided dinner placemats, with the reverse of each mat comprising an image-led safety message, focused around the messages that our behavioural safety programme puts across. Also including occupational health, mental health awareness and industry campaign messages (stop smoking, Cancer Research, etc). With a diverse and multi-lingual workforce, we felt the use of image-led designs was the most beneficial as they are simple, and easy to understand by all.